Bali Traditional Tour Janger dance is a 10 mens and womens dance group. Women's group is called Janger and men's group is called Kecak, and they dance as the same choreography as Kecak Dance. Each group dances to across and face to each other. 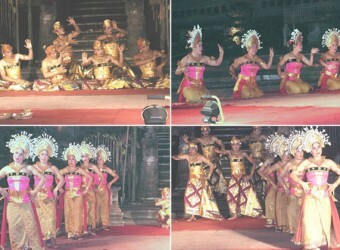 The dance is based on the ancient dance performance form, such as the love story, Arjuna Wihana.